For any company to prosper, it needs to have a well run financial department and companies in retail are no different. In fact, with so many different jobs and careers within retail all either directly or indirectly associated with sales in some way or other, finance along with human resources is probably the only other retail career option that doesn’t involve sales to any great degree. In fact, these two departments are often interlinked. Most retail stores will usually have at least one person, and in some cases it will be a team, working in finance. At the very basic level, this will involve ensuring that the workforce is paid on time. They’ll be responsible for working alongside human resources staff to ensure that things like time sheets are accurate so that staff are paid correctly each week and on time and to make sure that holiday payments are calculated correctly. They’ll also be responsible for calculating commission for sales staff and for administering things like pension deductions and dealing with retirement funds. However, there are many other roles within a finance department and here are a few typical examples. They are responsible for overseeing all of the financial dealings of a company. This will include preparing annual budgets and allocating funds for certain investments. Controllers will need to prepare financial accounts and reports such as balance sheets and will be responsible for ensuring that all of the correct paperwork and forms that need to be completed and returned to the Inland Revenue are prepared accurately and payments made accordingly whenever audit time comes around. People working in these roles will oversee budget spends making sure that the allocation of funding within each of the company’s operations receive the correct amount of funding and that it is spent appropriately in accordance with the chief financial manager’s budget plans. A financial manager may be responsible for directing other workers such as accountants and bookkeepers and they may also play a role in the recruitment and training of new staff into their department. Purchasing clerks will be responsible for ensuring that all of the bills which a company incurs are paid to their suppliers on time. Credit controllers, on the other hand, are responsible for getting money into the company from their customers. They’ll need to be able to manage customers’ accounts and credit facilities and to chase debts from late payers. Obviously, within certain companies, there may often be an element of job ‘overlap’ to what has been described here and specific job titles and descriptions may differ, depending on the size and structure of the company. You may also wish to pursue a career in retail banking and there is another article on this contained on this website specifically related to banking roles in the retail sector. Most people who aspire to progress to lofty heights within the finance division of a retail company will usually need to possess a degree in accounting, finance, economics, risk management or business administration and many people entering the profession will also have a Master’s degree. It will also be vital that you possess good analytical skills and can interpret statistical information as well as being able to produce reports. 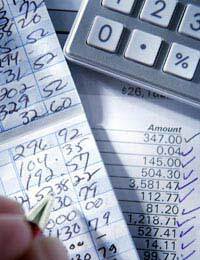 Being able to use often quite sophisticated accountancy computer software programs will also be required. It is possible to find work within a finance department at junior level without having a degree but you’ll often hit a career ‘ceiling’ quite early on unless you obtain further qualifications.